I’ve been in the blogging community for years and the SEO industry for even longer. 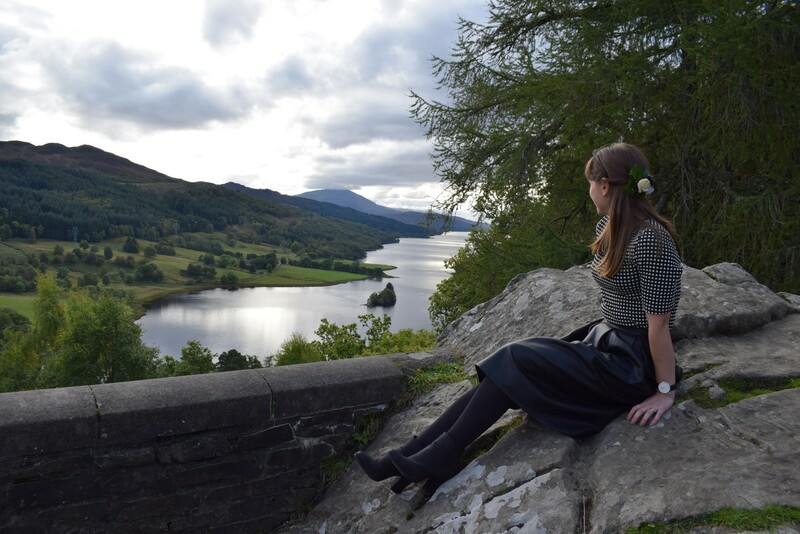 I’m SEO manager at Amara, blogger at The Fairytale Pretty Picture and I’ve recently launched an SEO podcast called SEO with Mrs Ghost. 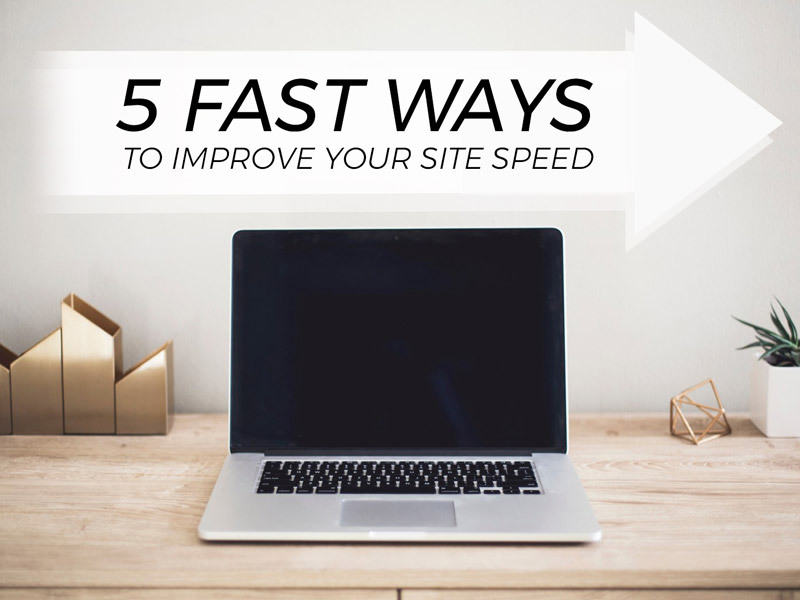 I have had a lot of bloggers share their issues with me but one of the most common questions that I get is around page load speed and here are my top five go-to tips to make your site faster. Firstly, lets cover why you should care about the page load speed of your blog. Mobile-first indexing. Historically desktop was (and mostly still is) the first place that Google looks at to understand a website, to crawl it and index it for the search results. However, since the massive increase in mobile and more and more people using their handheld device to research and buy means that Google found the need to react to the shift in behaviour. Google will be looking at mobile sites first to index and rank pages, and in a lot of cases already is because they started rolling this out at the end of last year. Ranking Factor. The above means that it’s now also a ranking factor when it comes to Google choosing who should be in the top search results. The search engine wants to show only those pages that their customer (the searcher) can see quickly as well as what is relevant. Essentially, the quicker your site, the more likely you’re to appear in a good position in the search results. To find out how quick your site is you can use a number of free tools. I prefer to use Google’s as it offers not only the results but suggestions as to what you can do to improve it. Google’s own site speed checker. Simply go to the ‘insights’ section and input your URL. This will give you plenty of page stats and suggestions for optimisation. Don’t be scared testing and finding lots of suggestions. These are not issues until you don’t appear in Google at all, they’re only optimisation tips to make your site better. Some of them may seem like gibberish but I’ll be explaining them one by one below so keep reading. Essentially a cache of a webpage is a snapshot that is stored to be resurfaced at a later stage. To use an example, let’s take my interiors blog site. When someone comes onto my site, http://fairytaleprettypicture.co.uk, it will take the homepage about 6 seconds to load. Now close the browser and try clicking the link again. Did you notice how much quicker it was to show the images and content this time around? A cache is used to show information without reaching out to the original source, making this process so much quicker. Dependant on how it’s set up changes to your site may take some time to be seen. So why not give it a go yourself? Sorting out your images can be really easy. All you need is some knowledge of third party image-editing tool and a simple process. Compress your image files. Use tools like Paint.net or Photoshop to make your image file size smaller whilst keeping the quality. 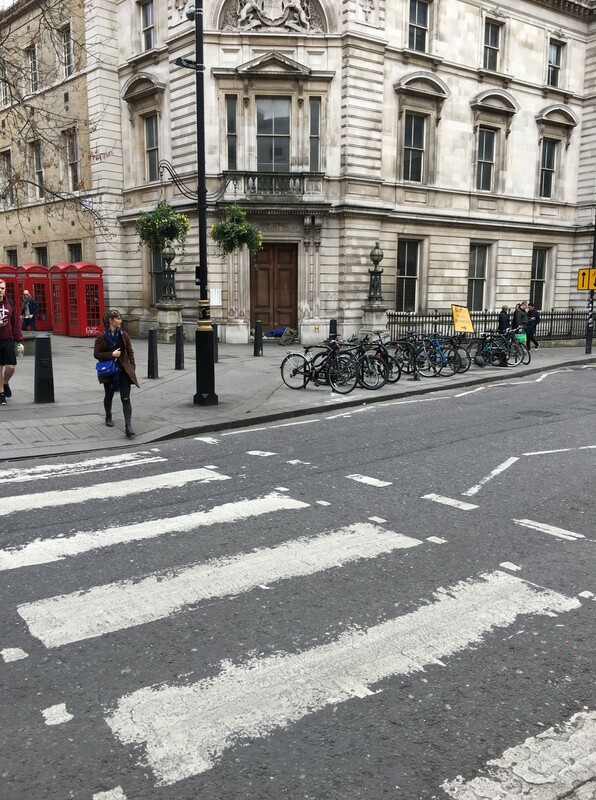 You can do this by resizing images to the correct width or length of your post rather than 3 x the actual size that you need. I usually focus on the pixel size of the image rather than a length however so try this out too. Use a process. 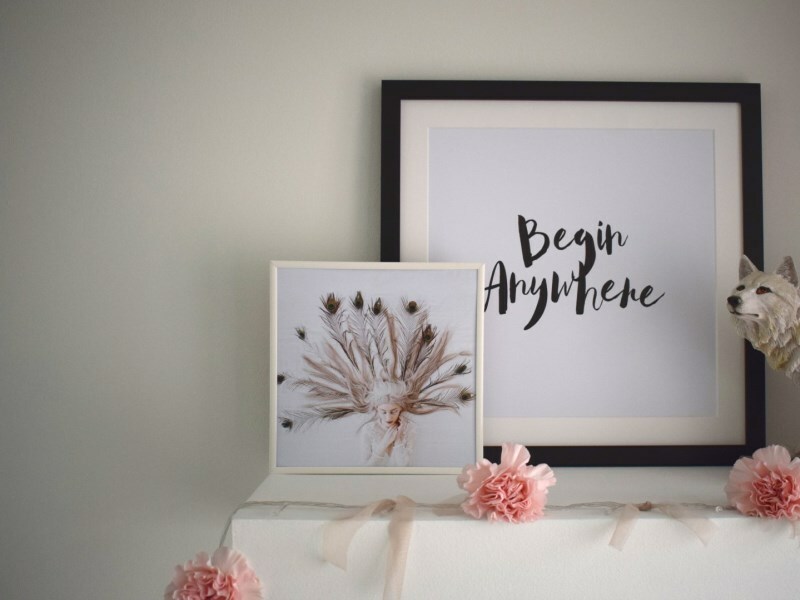 It doesn’t have to be anything fancy, it’s just a way to make sure that you remember to make your image files smaller before you upload them onto your site. This process can even be a checklist! Top tip: make sure that if you’re going back to old images that you have already uploaded onto your site that you’re deleting them permanently before uploading new versions. This will ensure that you don’t accidently end up with two of the same file as it defeats the point of your image optimisation! If you do the above your images would be so much quicker to load and therefore show up much faster when someone visits your pages for them to see it. Disable plugins. If you don’t use a plugin, remove it and don’t be a hoarder. This will mean less code for crawlers to look at and less to load so that the pages appear much faster. Avoid too many redirects. An example of when a redirect may occur is when you create a page with the wrong URL so that you direct the traffic to another page automatically, or if your site has changed from HTTP to HTTPS protocol. If this is too technical though and you haven’t come across this then don’t worry, as it probably means that you haven’t needed a redirect for your blog just yet so it shouldn’t be an issue. If you have, then have a think about minimising these. Gzip compression. Combine your http requests for example so that your code is ‘neater’, luckily I have a plugin you can use called WP HTTP Compression. This is probably most relevant if you have a large site… and I mean a BIG site. A Content Delivery Network (CDN) is basically a way to host and serve content from multiple locations so that it’s much faster to retrieve and load. This is good to serve readers if you have many all over the world because it improves the lag for those further away from you geographically. Something that is always worth checking if you’ve tried all of the above and it still doesn’t help your site speed is to check your advertising. Do you have any script that may slow down your site like pop ups for sign up? If so, have a think about removing it or using a neater script that doesn’t add load to your page so that it’s forced to slow down. 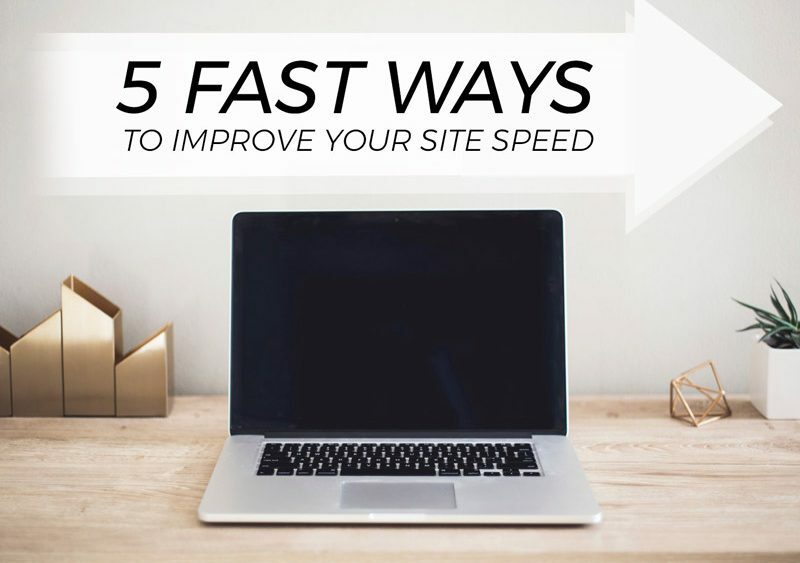 So that’s five fast ways that you can go and optimise your site speed right now. From simple steps to optimising images before they go onto your site, to more advanced script compression, these will all help your blog much faster. But, if you need help understanding any of these then get in touch with me via LinkedIn or Twitter. Did you know that as online users we are prepared to wait no longer than 3 seconds for pages to load… Well what are you waiting for?